an inflammable, explosive gas from decomposition of organic matter. CH4; an odorless gas produced by the decomposition of organic matter; explosive when mixed with 7 or 8 volumes of air, constituting then the firedamp in coal mines. /meth·ane/ (meth´ān) an inflammable, explosive gas, CH4, from decomposition of organic matter. a simple hydrocarbon in the form of colorless gas, produced by the anaerobic decomposition of organic matter. It occurs naturally in the gas from oil wells and coal mines. 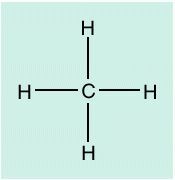 A simple organic compound—CH4—which is a gas at room temperature. One of two mnemonics (the other is CHALET) used in the context of a major incident (mass disaster) for the information that the first ambulance staff to arrive on the scene should relay to the Emergency Operations Centre. Major incident declared (or hospitals to stand by). Exact location of the incident, with map references if possible. Type of incident, with brief details of types and numbers of vehicles, trains, buildings, aircraft, etc. Access routes and suitable provisional rendezvous points. Numbers of approximate priority 1, 2 and 3 patients, dead and injured. Emergency services present and required including local authorities. An odorless gas produced by the decomposition of organic matter; explosive when mixed with 7 or 8 volumes of air, constituting in such cases the firedamp in coal mines. CH4; an inflammable, explosive gas from decomposition of organic matter. Large amounts are produced in the rumen. Attempts have been made to use the output from slurry pits to heat the animal accommodation in the building overhead.